I have a required attribute on a textarea that has an editor on it. 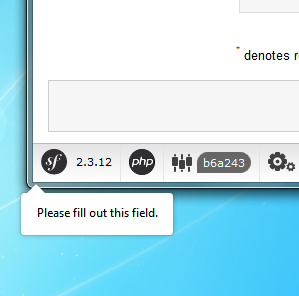 The problem is that if the field is empty, the message "Please fill out this field." appears on the bottom left corner outside of the page.